450 jobs go at Jaguar Land Rover | What Car? Jaguar Land Rover has announced it is cutting 450 jobs. The redundancies, made up of 300 managers and 150 agency staff, were in response to a 'severe reduction in demand', said the company. 'It is only right and proper that our response to the unavoidable impact of the credit crunch and the severe reduction in demand includes actions across all grades and functions of the company. 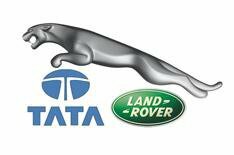 Jaguar Land Rover has begun consulting with unions on the proposed redundancy programme.